As of May 2017, Raymond Deshaies is Senior Vice President for Discovery Research at Amgen and a Visiting Associate at Caltech. Prior to that, he was a member of the professorial faculty in the Division of Biology and Biological Engineering at Caltech since 1994 and an Investigator of the Howard Hughes Medical Institute since 2000. While at Caltech he founded the Proteome Exploration Laboratory at the Beckman Institute. The Deshaies' Lab investigates the cellular machinery that mediates protein degradation by the ubiquitin-proteasome system, and how this machinery regulates cellular functions. Dr. Deshaies received his bachelor's degree in biochemistry from Cornell University and his Ph.D. degree in biochemistry from the University of California, Berkeley. Subsequently, he was a Lucille P. Markey Charitable Trust Postdoctoral Scholar at the University of California, San Francisco. 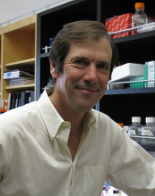 His honors include a Searle Scholar Award, a Beckman Young Investigator Award, a Burroughs Wellcome Fund New Investigator Award in the Basic Pharmacological Sciences, the American Society for Cell Biology–Promega Early Career Life Scientist of the Year Award for 1999, and appointment as a Fellow of the American Association for the Advancement of Science. Dr. Deshaies was elected to the American Academy for Arts and Sciences in 2011, and in May, 2016, to the National Academy of Sciences. In addition to his academic work, Dr. Deshaies co-founded Proteolix in 2003. Proteolix prosecuted development of Kyprolis through phase II clinical trials. Kyprolis was approved by the FDA in 2012. In 2011, Dr. Deshaies co-founded Cleave Biosciences.